In September 2011 St George’s Crypt opened its second charity shop. 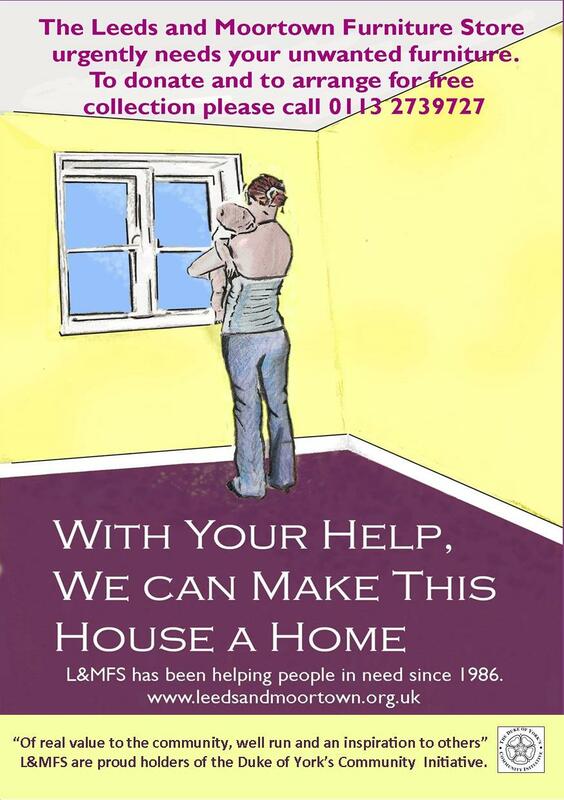 Having recently taken over a former Co-op supermarket building on Armley Town Street the charity which is best known for providing emergency accommodation for homeless people asked L&MFS if it would be able to supply good quality second hand furniture. This entry was posted in News File, Partnerships and tagged Donations, Furniture re-use, St George's Crypt Shop, Support. Bookmark the permalink.